Brooks Remp EasySealer 080 Pneumatic Heat Film Plate Sealing Semi-Auto . New Life Scientific, Inc. 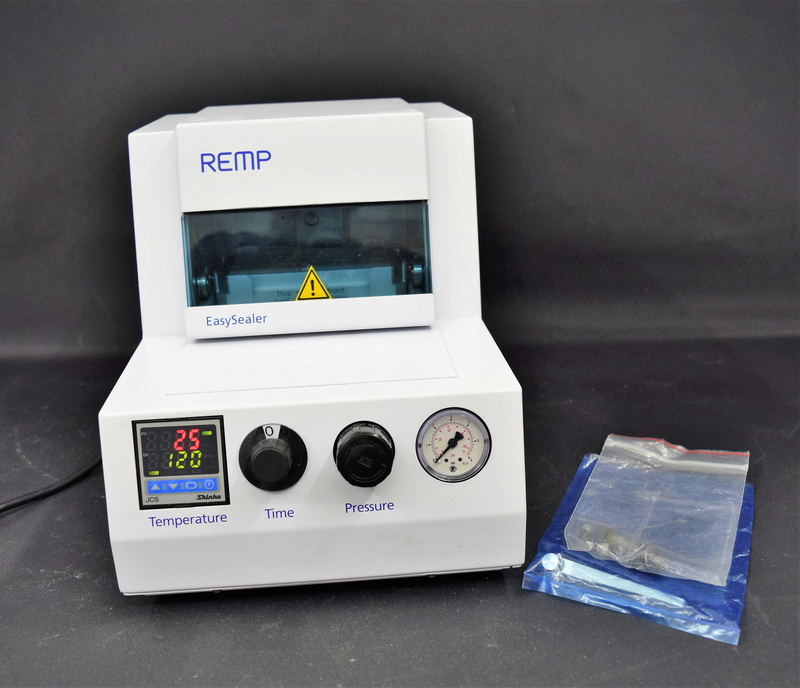 The Remp Easy Sealer is a semi-automated instrument ideal for low throughput sealing applications. The device is capable of sealing many different types of standard microplates, PCR Plates, and deepwell plates as well as, Brooks unique 384- and 96 Storage Tube Racks. New Life Scientific technicians professionally tested and evaluated this instrument for damages. The plate warms, the pressure forces the lift up into the heating element, but no sealing film was used to test the instrument. This instrument has been fully tested. This product was tested and confirmed to be in excellent working and cosmetic condition.